The X5 has standard Active Head Restraints, which use a specially designed headrest to protect the driver and front passenger from whiplash. During a rear-end collision, the Active Head Restraints system moves the headrests forward to prevent neck and spine injuries. The Q5 doesn’t offer a whiplash protection system. The X5’s optional driver alert monitor detects an inattentive driver then sounds a warning and suggests a break. According to the NHTSA, drivers who fall asleep cause about 100,000 crashes and 1500 deaths a year. The Q5 doesn’t offer a driver alert monitor. Both the X5 and the Q5 have standard driver and passenger frontal airbags, front side-impact airbags, side-impact head airbags, four-wheel antilock brakes, traction control, electronic stability systems to prevent skidding, daytime running lights, rearview cameras, available all-wheel drive, crash mitigating brakes, lane departure warning systems, blind spot warning systems and around view monitors. The BMW X5 weighs 580 to 1050 pounds more than the Audi Q5. The NHTSA advises that heavier vehicles are much safer in collisions than their significantly lighter counterparts. 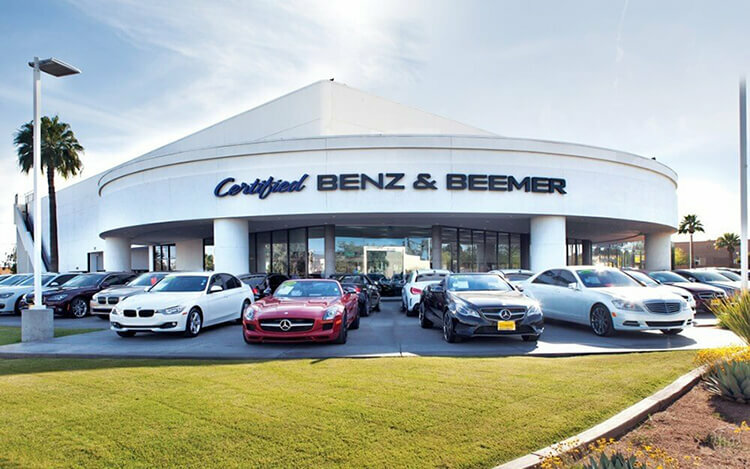 There are over 16 percent more BMW dealers than there are Audi dealers, which makes it easier should you ever need service under the X5’s warranty. J.D. 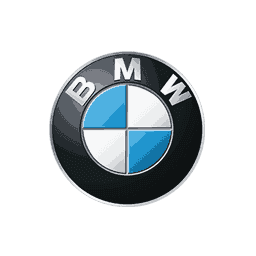 Power and Associates rated the X5 second among midsize premium suvs in their 2017 Initial Quality Study. The Q5 isn’t in the top three in its category. The X5 s/xDrive35i’s standard 3.0 turbo 6 cyl. produces 48 more horsepower (300 vs. 252) and 27 lbs.-ft. more torque (300 vs. 273) than the Q5’s 2.0 turbo 4 cyl. The X5 xDrive50i’s standard 4.4 turbo V8 produces 193 more horsepower (445 vs. 252) and 207 lbs.-ft. more torque (480 vs. 273) than the Q5’s 2.0 turbo 4 cyl. The X5’s 3.0 turbo diesel produces 3 more horsepower (255 vs. 252) and 140 lbs.-ft. more torque (413 vs. 273) than the Q5’s 2.0 turbo 4 cyl. On the EPA test cycle the X5 xDrive35d gets better highway fuel mileage than the Q5 SMG (23 city/29 hwy vs. 23 city/27 hwy). Regenerative brakes improve the X5’s fuel efficiency by converting inertia back into energy instead of wasting it. The Q5 doesn’t offer a regenerative braking system. In heavy traffic or at stoplights the X5’s engine automatically turns off when the vehicle is stopped, saving fuel and reducing pollution. The engine is automatically restarted when the driver gets ready to move again. (Start/Stop isn’t accounted in present EPA fuel mileage tests.) The Q5 doesn’t offer an automatic engine start/stop system. The X5 has 3.9 gallons more fuel capacity than the Q5 (22.4 vs. 18.5 gallons), for longer range between fill-ups. For better traction, the X5 has larger standard tires than the Q5 (255/50R19 vs. 235/60R18). The X5’s optional tires are larger than the largest tires available on the Q5 (F:275/40R20 & R:315/35R20 vs. 255/45R20). The X5’s standard tires provide better handling because they have a lower 50 series profile (height to width ratio) that provides a stiffer sidewall than the Q5’s standard 60 series tires. The X5’s optional 275/40R20 front and 315/35R20 rear tires have a lower 40 series front and 35 series rear profile than the Q5’s optional 45 series tires. For better ride, handling and brake cooling the X5 has standard 19-inch wheels. Smaller 18-inch wheels are standard on the Q5. The X5 has a standard automatic rear load leveling suspension to keep ride height level with a heavy load or when towing. The Q5 doesn’t offer a load leveling suspension. For a smoother ride and more stable handling, the X5’s wheelbase is 4.5 inches longer than on the Q5 (115.5 inches vs. 111 inches). For better handling and stability, the track (width between the wheels) on the X5 is 1 inch wider in the front and 1.5 inches wider in the rear than on the Q5. The X5 xDrive35d xDrive handles at .82 G’s, while the Q5 Prestige pulls only .79 G’s of cornering force in a Motor Trend skidpad test. The X5 xDrive50i xDrive executes Motor Trend’s “Figure Eight” maneuver quicker than the Q5 Prestige (26.3 seconds @ .72 average G’s vs. 27.2 seconds @ .65 average G’s). The X5 has 2.8 inches more front shoulder room and 1.8 inches more rear shoulder room than the Q5. The X5’s cargo area provides more volume than the Q5. Unlike the driver-only memory seat and mirrors optional at extra cost in the Q5, the X5 xDrive50i has a passenger memory, so that when drivers switch, the memory setting adjusts the driver’s seat, steering wheel position, outside mirror angle, climate settings and radio stations and the front passenger seat also adjusts to the new passenger’s preset preferences. The X5’s standard easy entry system raises the steering wheel, making it easier for the driver to get in and out. The Q5 doesn’t offer an easy entry system. To improve rear visibility by keeping the rear window clear, the X5 has a standard rear variable intermittent wiper with a full on position. The rear wiper standard on the Q5 only has an intermittent setting, so in a hard rain visibility isn’t as good. In poor weather, headlights can lose their effectiveness as grime builds up on their lenses. This can reduce visibility without the driver realizing. The X5 offers available headlight washers to keep headlight output high. The Q5 doesn’t offer headlight washers. To help drivers avoid possible obstacles, the X5 has standard cornering lights to illuminate around corners when the turn signals are activated. The Q5 doesn’t offer cornering lights. The X5 also has standard adaptive headlights to illuminate around corners automatically by reading vehicle speed and steering wheel angle. The X5’s optional Parking Assistant can parallel park or back into a parking spot by itself, with the driver only controlling speed with the brake pedal. The Q5 doesn’t offer an automated parking system. Insurance will cost less for the X5 owner. The Car Book by Jack Gillis rates the X5 with a number “3” insurance rate while the Q5 is rated higher at a number “8” rate. According to The Car Book by Jack Gillis, the X5 is less expensive to operate than the Q5 because typical repairs cost less on the X5 than the Q5, including $139 less for a starter and $166 less for a fuel pump. Consumer Reports® recommends both the BMW X5 and the Audi Q5, based on reliability, safety and performance.